Streets are being poured as Platte 56 nears completion. Home / Uncategorized / Streets are being poured as Platte 56 nears completion. 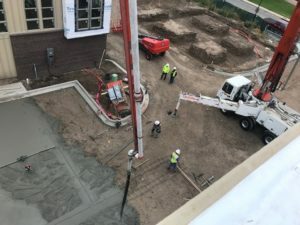 Platte 56 is pouring concrete streets throughout the entire project instead of traditional asphalt. Developers feel this gives the entire property a much cleaner look. There are still some great floor plans and locations available for interested buyers.